(under tree canopy) along with nearby Taccas. 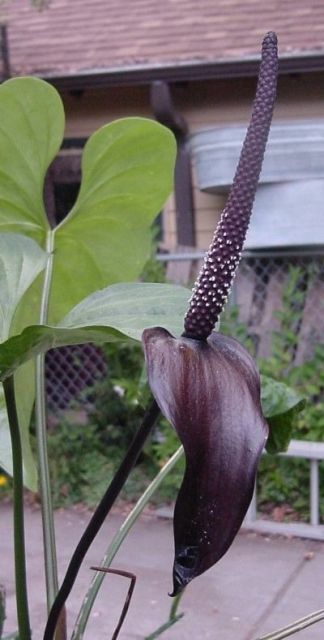 To what section of Anthurium does Anthurium watermaliense belong? Also, does anyone know if A. watermaliense can hybridize with A. A watermaliense is in section Pachyneurium. Dear Don: I have placed this in Section Pachyneurium, owing to its involute vernation but it is an unusual member of that group for sure. I have often wondered if it might not be itself of hybrid origen. often wondered if it might not be itself of hybrid origen. Yes, I see that now when comparing the leaf with those on my A.
never would have guessed by the rest of the plant habit. etc. . Some are quite attractive. might not be itself of hybrid origen. guessed by the rest of the plant habit. So is this also not A. watermaliense?